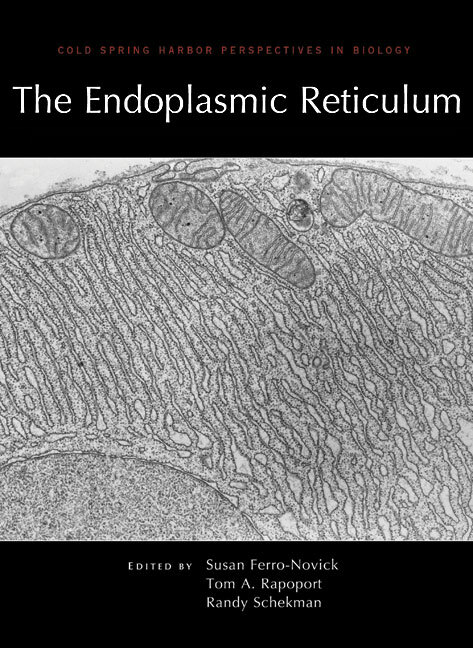 The endoplasmic reticulum (ER) is an extensive network of membranes that folds, modifies, and transports proteins in eukaryotic cells. It also manufactures lipids and interacts extensively with other organelles, playing essential roles in cell growth and homeostasis. Written and edited by experts in the field, this collection from Cold Spring Harbor Perspectives in Biology covers all aspects of ER morphology and function, as well as its interactions with the nucleus, Golgi, and mitochondria. Contributors examine how proteins translocate across the ER membrane, the processes that occur inside the ER lumen (e.g., folding, glycosylation, and disulfide bond formation), and how the proteins are packaged into vesicles and transported to the Golgi. They also review quality-control mechanisms that are employed by the ER to detect and eliminate misfolded or unassembled proteins. Lipid synthesis and transport are also discussed. This volume covers not only the biochemistry and cell biology of the ER, but also ER stress, metabolism, and the role of the ER in viral replication. Thus, it is an essential reference for cell biologists, physiologists, and pathologists interested in understanding the numerous functions of the ER.